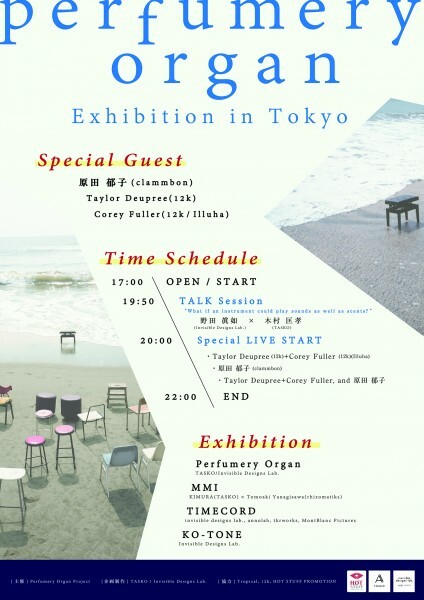 Exhibition and Special Live’ line-up is finally here! Admission free for Adults / University students, High school students and younger, kids! 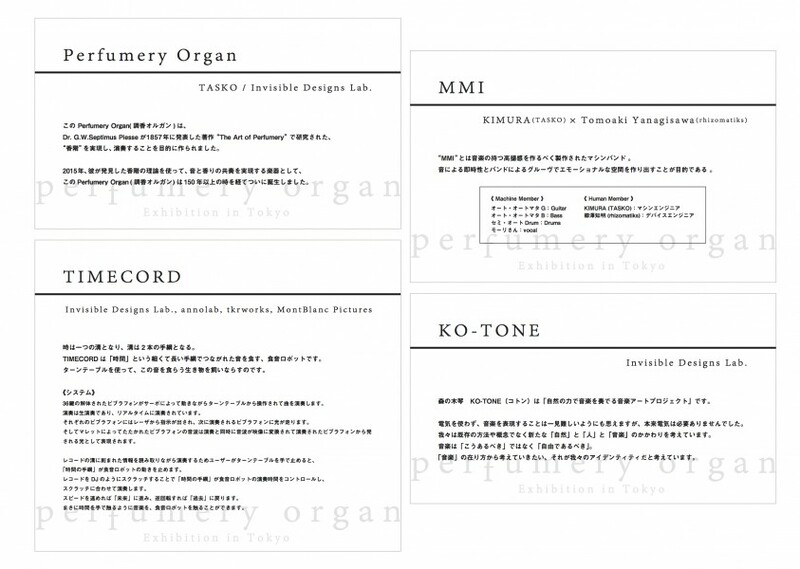 Independently Organised by TASKO / Invisible Designs Lab. 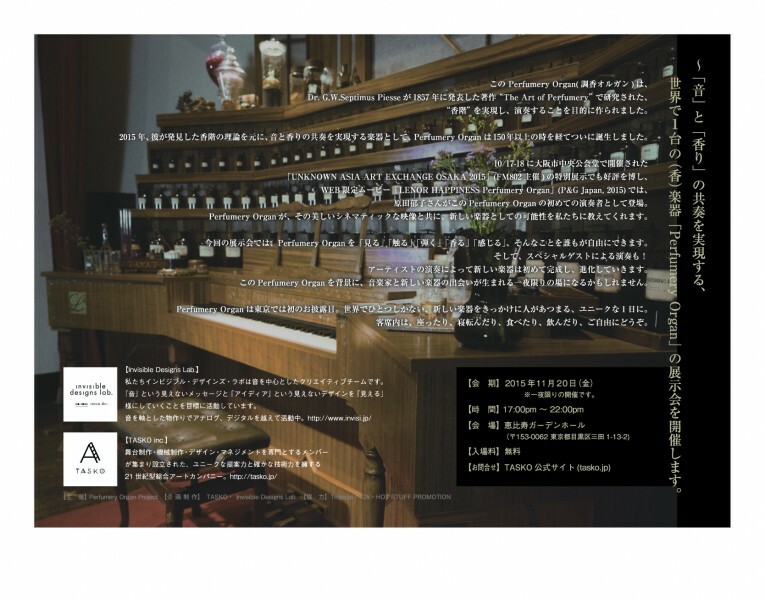 Unfortunately, we just got news that Marcus Fischer has to cancel his special guest slot on upcoming Perfumery Organ Exhibition too. Marcus Fischer is dealing with the shoulder injury issues and his doctor has advised him to rest at home. 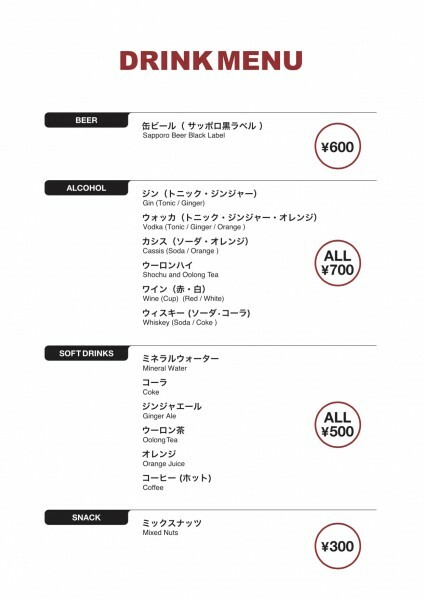 We will miss him on the road to Japan Tour but wish him a quick and speedy recovery. 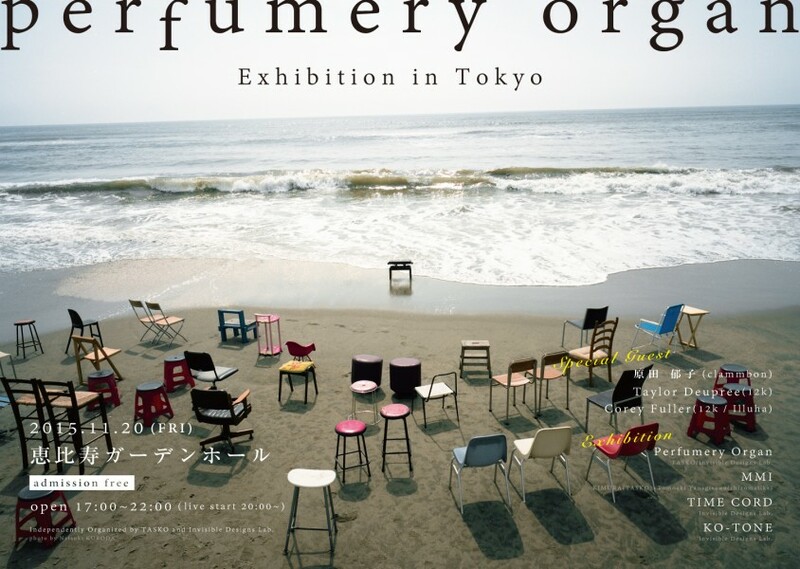 Perfumery Organ from Corey Fuller on Vimeo. TASKO / Invisible Designs Lab.